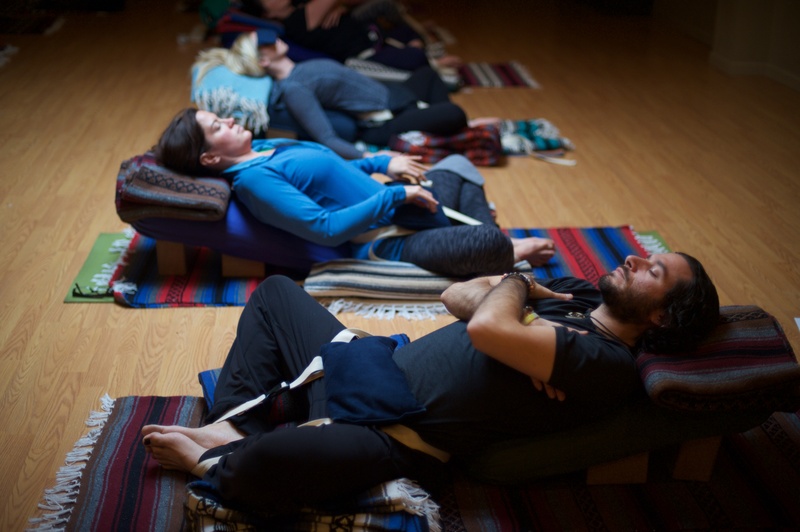 The intention of this workshop is to open the heart to your innate inner-goodness, grace, and self-compassion through the healing modalities of Restorative Yoga and Reiki. Through deep openings and extended Restorative Yoga posture holds, your body will relax and your mind and emotions will still. We will then use the healing warmth of hot massage stones to allow stress, tension, and worries to melt away. The vibrational and energetic healing gift of Reiki will connect you to your life force, allowing your energy to flow freely and the light of your heart to shine brightly. We will open and close our practice with call and response chanting to connect to the healing community we create together. John Rettger, PhD, ERYT-200, YACEP is a yoga and mindfulness teacher, clinical psychologist, author, and a long time spiritual seeker. John‘s teaching is informed by his extensive training in various yoga modalities and his work as a psychological researcher at the Stanford University School of Medicine, Department of Psychiatry & Behavioral Sciences. Ewa Litauer is a Certified Clinical Hypnotherapist (CCHT, Reiki Master Teacher, and Restorative Yoga Teacher). Ewa brings a transpersonal approach to her therapy and teaching work. She draws on various systems of energetic, spiritual, and meditative practices blending them into a unique model of empowerment toward each individual’s full potential.